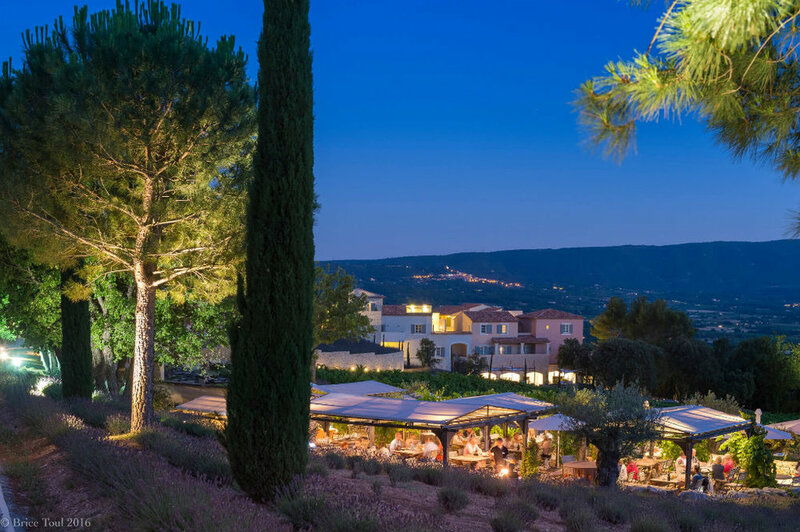 Perched on the top of a hill in the heart of the Luberon, La Coquillade is a 5-star hotel and spa, surrounded by vineyards and lavender fields, and complete with open air Amphitheatre. Across its 100 acres of land, you can enjoy mountain view rooms with terraces in charming stone built villas. The hotel and surrounding area offer plenty of activities, including tennis, Pétanque, touring the nearby hilltop villages of Gourdes and Roussillon by bike or kayaking under the Pont du Gard. You can also lounge by the pool or indulge in a eucalyptus massage at the Spa and Wellness Centre. And of course, no trip to the south of France would be complete without a local wine tasting experience. La Coquillade’s restaurants offer a range of French and Mediterranean inspired culinary delights using seasonal ingredients picked daily from the chef’s vegetable garden and all complemented by delicious wines produced on the estate from the Aureto vineyard.